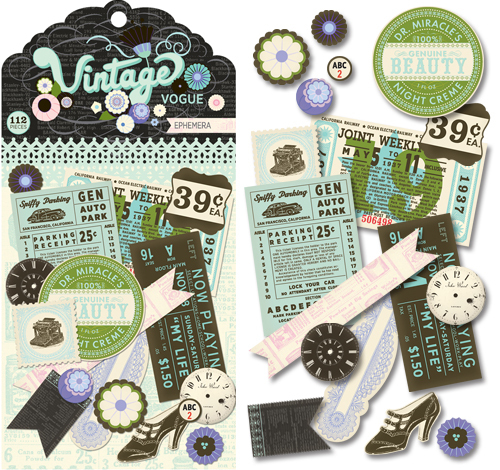 One of the first things that caught my eye at CHA this summer was this cool new line from Pink Paislee - Vintage Vogue. I was drawn to the pretty colors in this unique color combination -- it's nice to see purple popping into scrapbooking. 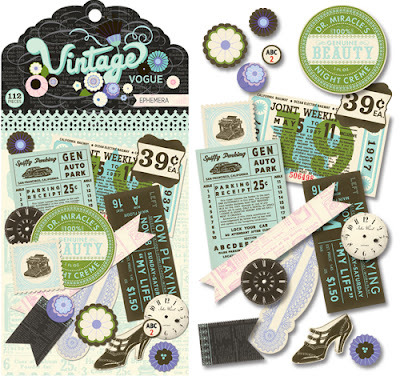 This line is actually from Collage Press Studios for Pink Paislee - so all you Collage Press fans are in for a treat! - I love how subtle the patterns are -- the scale is small, and because they are double-sided there's always another option if one side doesn't appeal. I liked them all. - I loved, LOVED, loved the ephemera pack -- it's so much for to pick through all the different bits and pieces and incorporate them into a layout. This is one of my favorite trends of late! - I wish there was an alpha. Curiously enough though, I didn't even end up using an alpha in what I made -- I used different items from the ephemera pack for my titles! 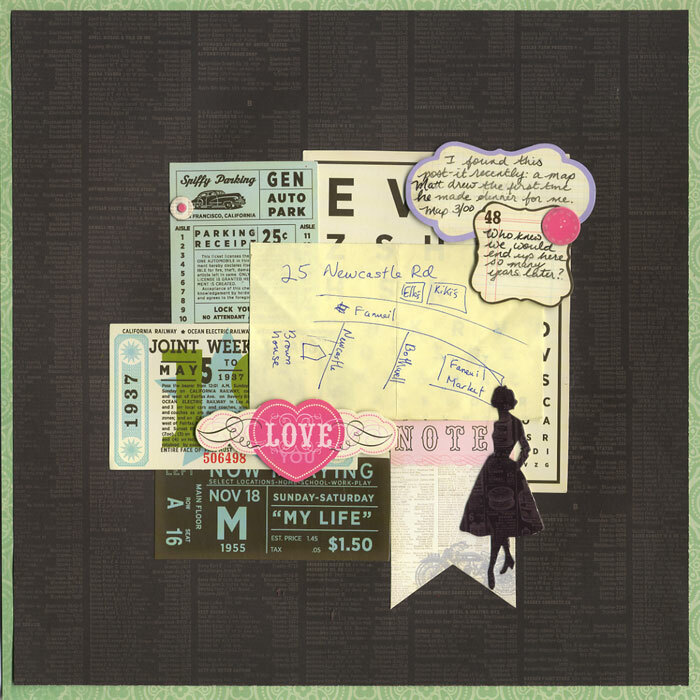 First, I made a layout using the patterned papers, chipboard embellishments and items from the ephemera pack. You'll be seeing them again. And again! Finally, I made a card using some patterned paper and embellishments from the ephemera pack -- it's jam-packed with fun goodies! Available Online: Stop and Scrap, Nona Designs it's currently only available for pre-order. 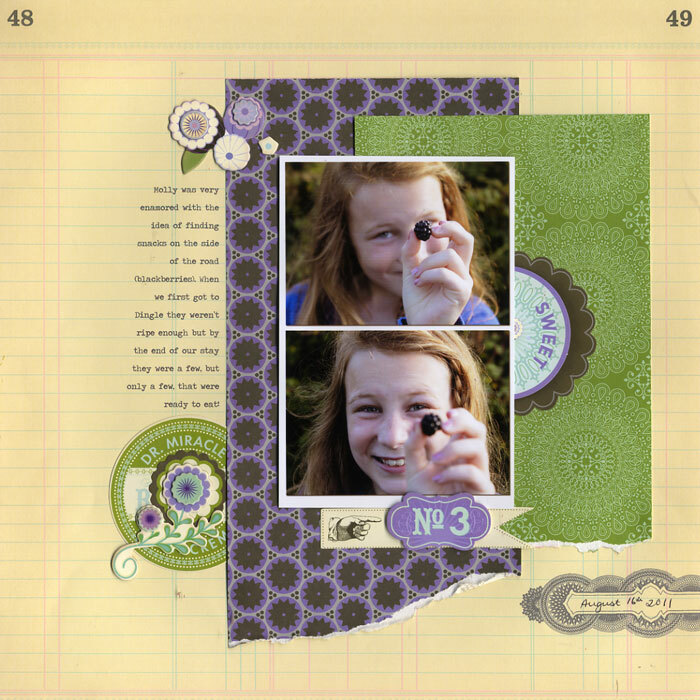 Bottom Line: This is a great collection - I liked the mixture of colors (that green patterned paper especially) and the ephemera pack is a must-have! What do you think? Is this something that you could see yourself using? I also like the combination of colors in this line. Thank you for the inspiration. Not only can I see myself using it, I have it #1 on my wish list. I can just see doing a BOM with it, something I have been wanting to do for a while now. I love how you used it, very inspiring. This is a cute line, and I love most everything from Pink Paislee, but this line does not peak my fancy. I love the designs that you made though. Very, very cute! 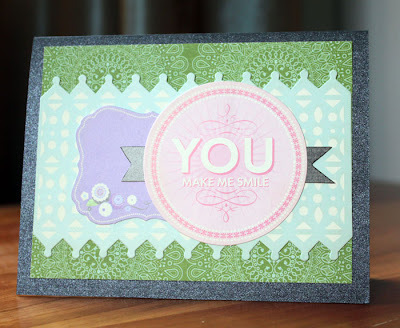 I don't know that I would normally choose this color palette, but the way you've used the embellishments really makes the collection more appealing! I ma not much of a purple kinda girl - but I do like the look of thsi line. 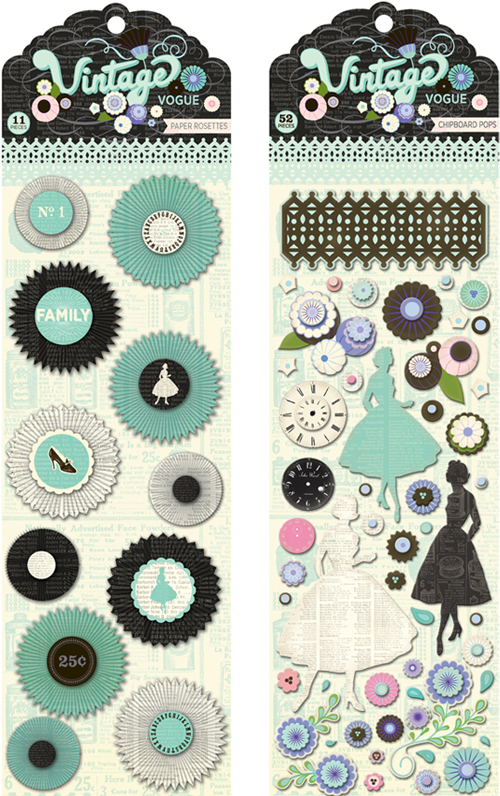 I would love to see it IRL and I am especially excited about the embellishments. Wow this is a MUST have collection. I love the colors and images!! Perfect to scrap with a pic of my mom at her 1958 prom -wearing a knee length, strapless, pink taffeta dress!